#WheresRey has become a popular hashtag on social media relating to one of the newest characters from The Force Awakens. Rey, a scavenger from the desert world of Jakku, meets up with a small droid named BB-8 and is thrust into a galaxy-wide conflict. During her adventures, Rey discovers she can use the Force and ends up helping the Resistance fight against the dreaded First Order. While very little is known about Rey and her past, she has quickly risen to the top of fan favorites. 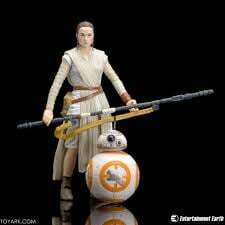 #WheresRey first began a few months back when Target's exclusive 12-inch figure pack and Hasbro's Star Wars themed Monopoly game had no sign of Rey. During the film, Rey's character learns to use the Force and ends up fighting Kylo Ren in a lightsaber duel. She uses the Force to mind trick a stormtrooper and none of this was seen in the trailers for the movie. Disney wanted to keep Rey's Force talents a secret so it's understandable if Disney wanted to keep her character excluded from a few pieces of merchandise. With the exception of one or two specific items....Rey merchandise is everywhere! Whether you're looking for toys, collector's items, or plastic tubes full of yogurt, Rey is there. 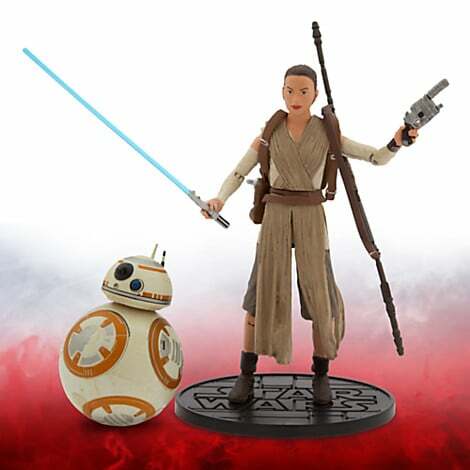 Bobbleheads, Disney Infinity pieces, life-size cardboard cutouts, fat heads, clothing (Her Universe and more), candy, coins, action figures, Disney Vinylmations, bookmarks, and a plethora of other merchandise has all been produced with Rey's likeness. LEGO has produced at least three different sets with Rey's character included (one "Buildable Figure" and two mini figures with interchangeable hair and head wrap pieces) and the Disney Die Cast Figures have two different versions of Rey (Kylo Ren is the only other character with two versions in the set). Rey is also included in the Hallmark Itty Bitty's, on the cover of multiple magazines, has been made in Hasbro's Black Series 6-inch and 3.75-inch lines, is featured on one of Bloomingdales high-end tote bags, and as an option for a customizable phone case at Disney. Rey is even on Subway cups and Galactic Connextions. Rey's Speeder is also a popular option for "Rey Lovers". Rey's Speeder can be found printed on clothing, as a Micro Machine, a Die Cast Piece, a USB drive or even as a vehicle for your 3.75-inch figure. 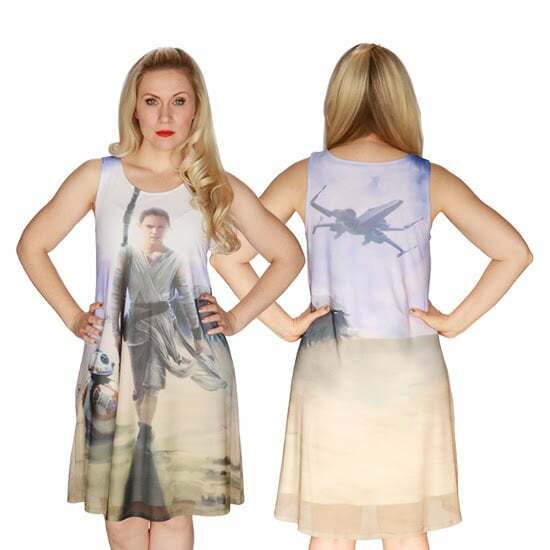 While Rey may be missing from very few items, it is clear that the female fans have been heard and merchandise featuring some of our favorite female characters are in abundance at the stores. Rey was even the subject of a commemorative movie ticket at Regal Theaters for Week 3 of their commemorative tickets. Keep up with Twin Suns Outpost for more on collecting Rey merchandise.